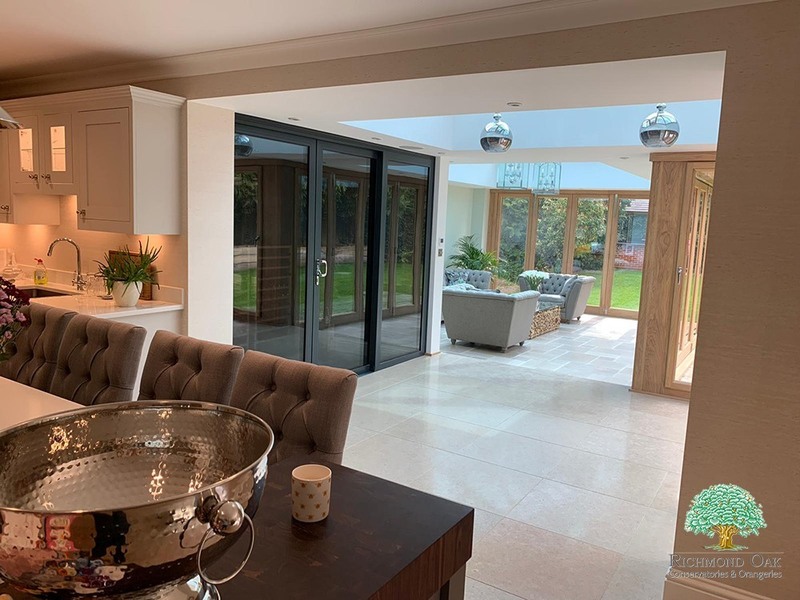 The main objectives of this stunning seasoned oak orangery project in Surrey were to create a contemporary, bright and spacious open plan living environment that extended from the kitchen area. Having previously lived in South Africa, our client wanted to maximise the use of the garden for social occasions with family and friends during the warmer months of the year. 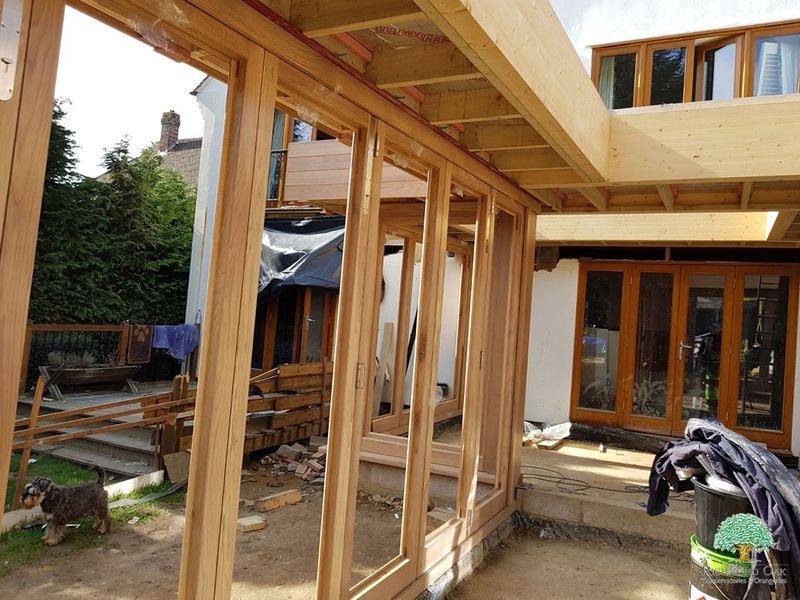 Three sets of oak bi-fold doors enable the new space to open up with the garden and truly have a sense of 'bringing the outside in'. The design brief also included the provision of a wine room adjacent to the kitchen which is separated by an aluminium sliding door with grey tinted glass, a contrast to the seasoned oak frames of the main structure. Beautifully designed orangery. It took a long time, partly because we were away at various times during the build, but the result is worth it. The workmen for the various stages - ground works, carpentry, electrics - were considerate and trustworthy. Not the cheapest on the market, but worth the money.